Tokar Estate is a family owned and operated winery, restaurant and cellar door located in the heart of the Yarra Valley. 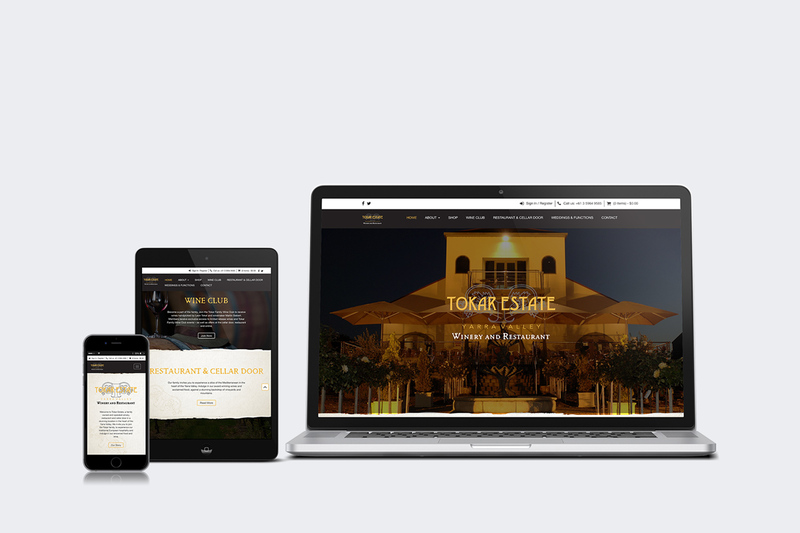 Having enjoyed recent success with their award winning wines, it was time to develop an online presence aimed at capturing the essence of the Tokar Estate brand and to promote their offering to a world wide audience. Our brief was to design and develop an e-commerce website that struck a balance between rustic family charm and a modern business ethic. 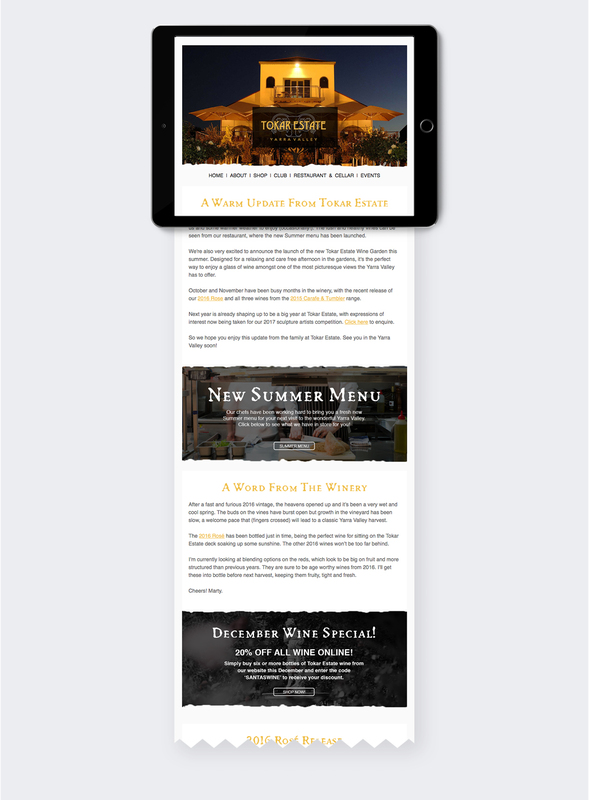 The site had to convey a warm and welcoming aesthetic whilst also being optimised for direct to consumer wine sales and restaurant & event bookings. During the design process it was decided that a commercial photoshoot would be needed to capture all aspects of the business, key people and the stunning Yarra Valley location. A selection of images were combined with our sales focussed copy writing to tell the Tokar Estate story on the new mobile responsive e-commerce website. 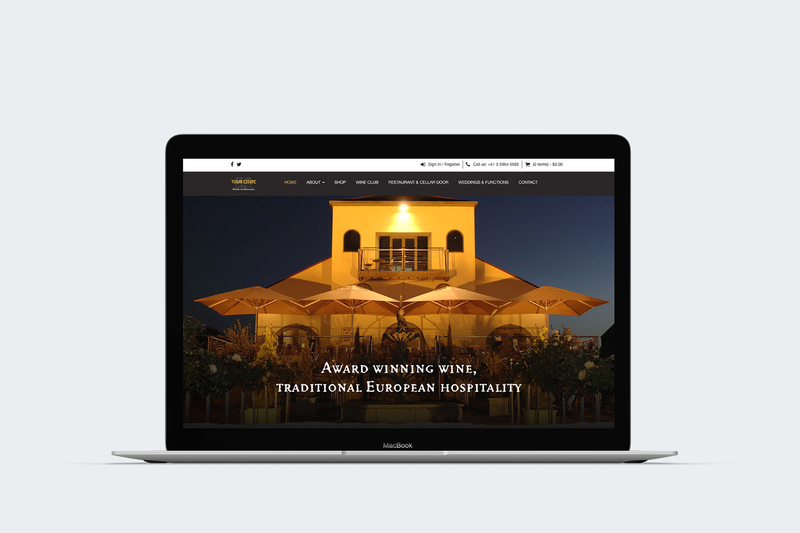 An existing wine club members database was then integrated into the new website. 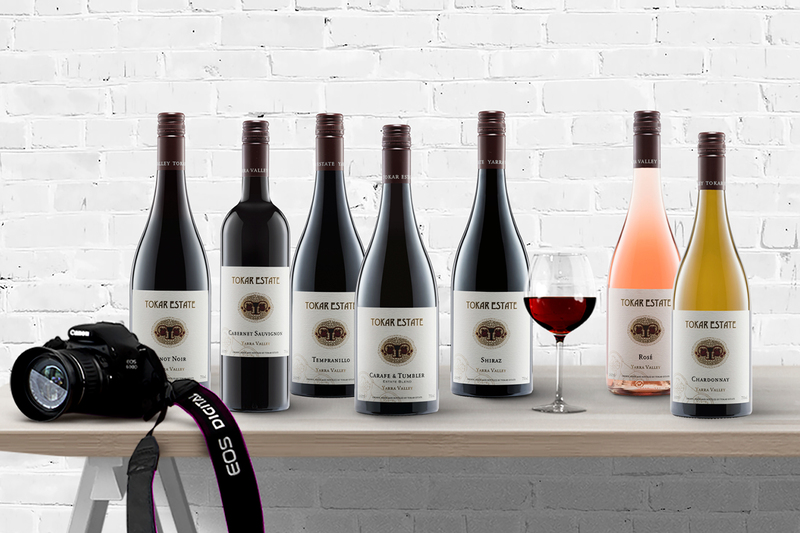 When logged in, Tokar Estate wine club members now enjoy a dedicated members area offering discounts, unique products, exclusive offers and free freight for online purchases. e-Commerce website strategy, e-commerce website design, e-commerce website development, custom website integrations, website content management, website support and security, e-newsletter campaign design and development.